Prague club Roxy / NOD will be November 12 from 19.00. To belong Club Night Spotlight, which shines this time on hip hop, electronica and alternative from the US, Britain and domestic scenes. On this "mini-festival" directed by British Young Fathers, who on October 29 won the prestigious British Mercury Prize Prize. Roxy therefore to bring diploma in the frame barely dried ink. Another star of the evening, electro-punk Xenia Rubinos, thanks to its peculiar songs of one of America's most interesting young artists. 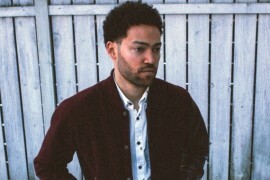 Multi-instrumentalist and producer Taylor McFerrin is one rank in electronic alternatives to the most interesting and most innovative filmmakers, like his father Bobby in the field of vocal music. Brit Lauren Holt aka LAW, one of the most remarkable discoveries of the British electronic scene, able to connect to the dramatic emotion-charged sound of the zither, laptop and his unmistakable voice and soul. Leading Czech organist young generation Katerina under the pseudonym KATT boldly vlomila the field of experimental electronic music with French producer, forming under the name DA FAKE PANDA. At this year's Spotlight can the royal tool you can understand with electronics. The program will be enriched with DJ set legend Czech electronics Floex. Club Night Spotlight is a part of the Music Festival Strings of Autumn. It also includes an exhibition of scientific literature Book of Me, which is a book about music and dance prepared in NoD Publishing House of the Academy of Performing Arts in Prague.